Why ist that change necessary? I have a cyclotest myPlan. Do I have disadvantages as a result of the combination? Can I use cyclotest myWay when I want to have children? What is the difference between the “cycle control” and “child planning” mode? How can I change the mode? Which mode is preset in cyclotest myWay? I already have a cyclotest myWay. Does the “new” cyclotest myWay offer additional advantages? 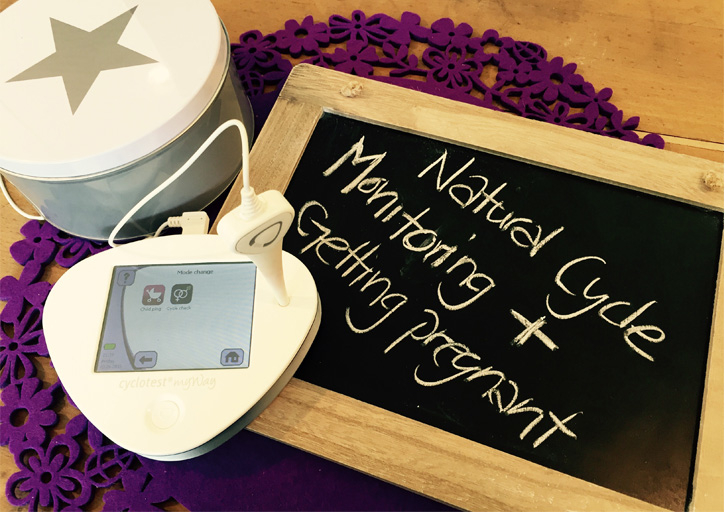 Our cycle monitors are certified high-quality medical products that should accompany through the cycle: As menstrual cycle diary, as child planning monitor and as computer for a natural, hormone-free cycle control. The idea to have separate products for child planning and for cycle control that exist in parallel, is no longer absolutely up to date. From the numerous feedback we received during the last years, we know that this separation is no longer appropriate. In its basic function, a cycle monitor calculates the fertile and infertile days. The result can be used for two purposes – for child planning or to avoid pregnancy. We want to be up with the latest trends and offer in future a product analogously to the numerous cycle apps, which are on the market – ONE product with the possibility to change the application target. No. The combination causes no disadvantages for you. In the menu under “settings”, cyclotest myPlan offers the possibility to change the mode and to switch to “cycle control”, too. Yes. cyclotest myWay has two modes. Under “settings” you can easily switch between child planning and cycle control. Apart from that, the menu only differs in coloration: In the “child planning” mode the dominant colour is magenta, in the “cycle control” mode it is violet. You can change the mode from “cycle control” to “child planning” and vice versa. Just select “mode” in the menu under “settings”. cyclotest myWay is preset with the mode “cycle control”. If you want to use it in order to become pregnant, you can switch to the mode “child planning” under “settings” in the menu. That’s all. All additional functions, that can support you on your way to a baby, will be activated then. There is no “new” cyclotest myWay. cyclotest myWay is cyclotest myWay. It has been possible ever since to switch the purpose in the menu. Features which are available for child planning only could be activated this way. This will remain the same in future. When a producer decides to stop a product, it will still be available in the market for a few months. The same applies for the cyclotest myPlan. Important dealers like amazon or mail-order pharmacies will continue to sell the cycle monitor. However, cyclotest myPlan is no longer available on our website from now on.